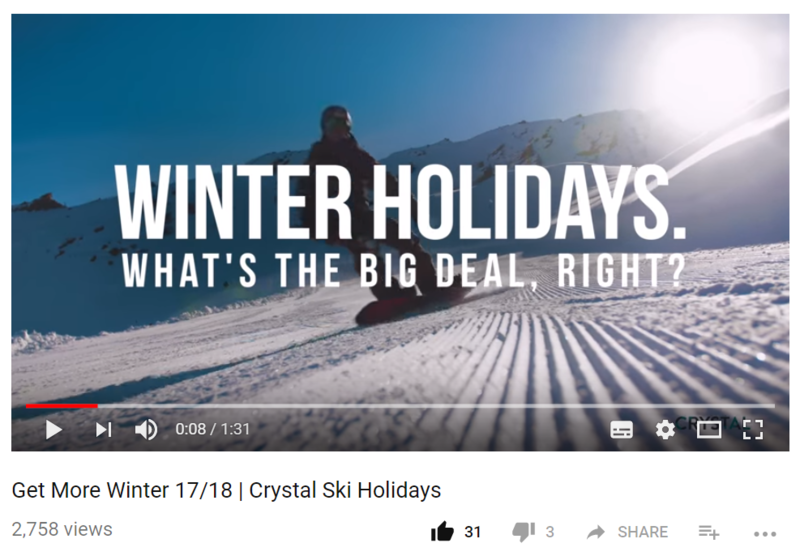 We are big fans of the new video released by Crystal Ski Holidays this week. “Winter holidays. What’s the big deal, right?” is a tongue-in-cheek attempt to address some of the typical objections that non-skiers have to taking their first ski holiday. It’s no secret that the UK market has hit a plateau and is suffering from a lack of new entrants. 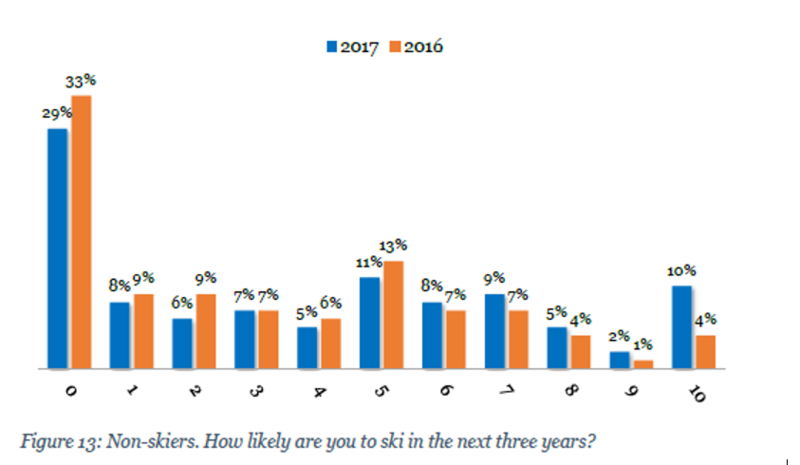 The recent annual report by the Ski Club of Great Britain claims that 12% of non-skiers are strongly intending to ski this winter. 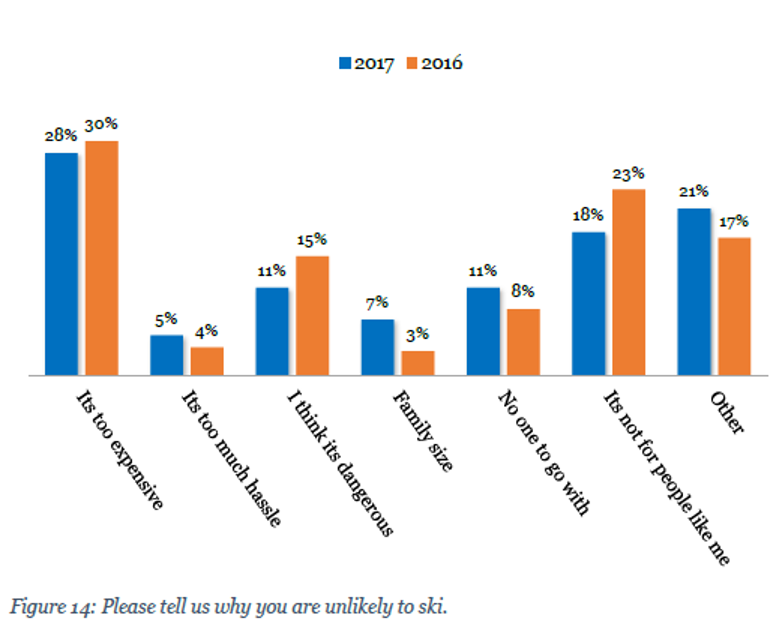 However, it also shows that almost one third of non-skiers have zero intention of taking a ski holiday. The concept of the film is to compare non-skiers’ expectations with reality. The no doubt deliberately chosen Northern voiceover covers common misconceptions that may be holding people back while the visuals show the reality of what’s great about a ski holiday. The Ski Club’s research suggests that the most common objections to taking a ski holiday are the expensive cost, that it’s ‘not for people like me’ and that it’s dangerous. The Crystal Ski video covers each of these issues, as well as noting the opportunity to enjoy great food and drink. The film was produced and directed by Josh Monie and his team, and was filmed in Val d’Isère and Tignes in March 2017. Chapeau to Crystal Ski for this bold – and highly entertaining attempt – to bring those all important new skiers into the market.